TVR said its upcoming coupe keeps the brand's “distinctive” DNA. It will also have F1 inspired, ground-effect technology. LONDON -- The UK sports car company TVR has joined Aston Martin in choosing Wales for a new factory. TVR plans to restart production in 2017 in a plant in Ebbw Vale, north of the country's capital Cardiff. Aston Martin has said it will open a new factory in St Athan, southwest of Cardiff, in 2020 to build its DBX crossover. 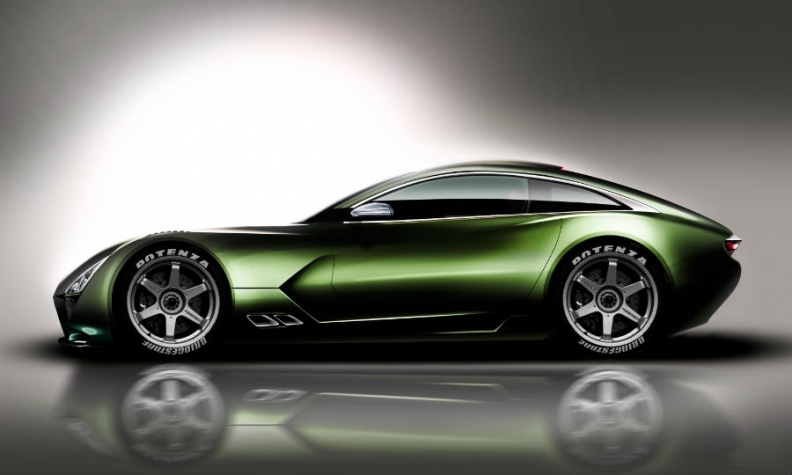 TVR said it has 350 deposits for its new sports coupe that will be unveiled later this year. It will be built using a new production method devised by former McLaren designer Gordon Murray and called iStream. Murray's company will also design the car. UK powertrain firm Cosworth will develop the as-yet-unnamed car's V-8 engine. The factory represents an investment of 30 million pounds ($43 million), TVR said in a statement. It also said the Welsh government will invest in the company, without giving a figure. Peak production will reach about 2,000 cars a year by 2022 with an initial marketing focus on the UK and selected European markets, according to a Welsh government press release. TVR plans to bring four new models to market over the next 10 years, the release said. TVR was established in 1947 but it has a history of financial difficulties. It last made cars in 2004 when it was bought by Russian tycoon Nikolai Smolensky. In 2013, UK businessman Les Edgar and private investors bought the brand for an undisclosed sum. At the time Edgar told Automotive News Europe that he wanted to remain true to the values of the TVR brand, naming them as "British, unique, hand-built and bonkers-mad."